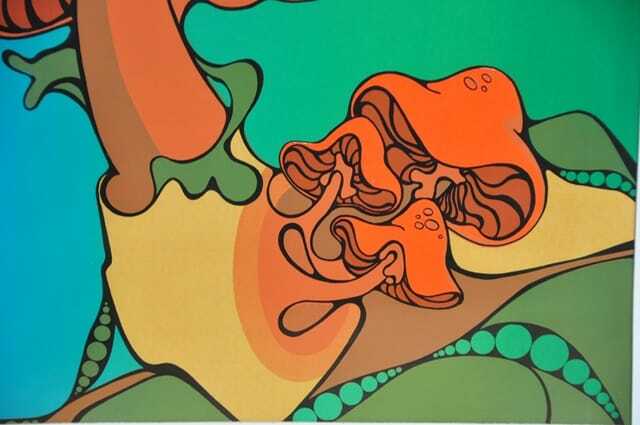 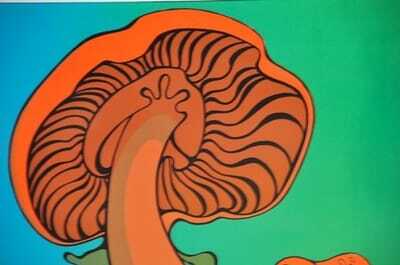 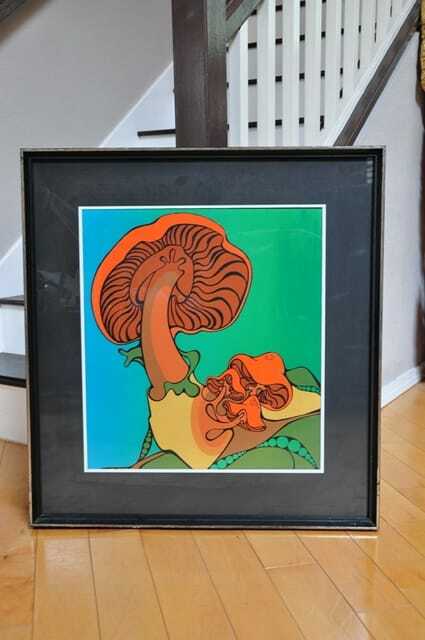 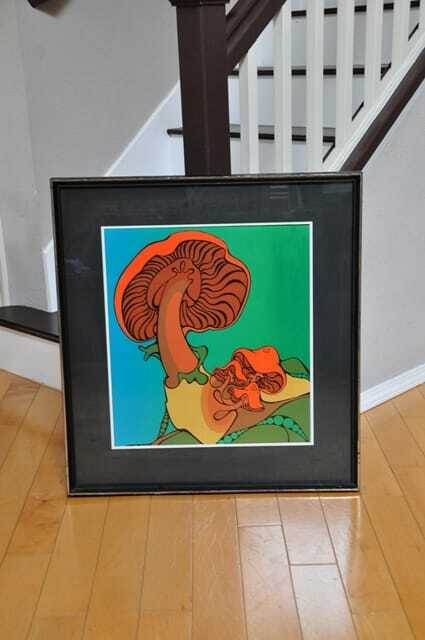 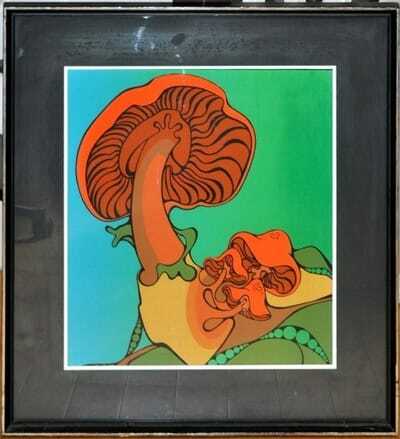 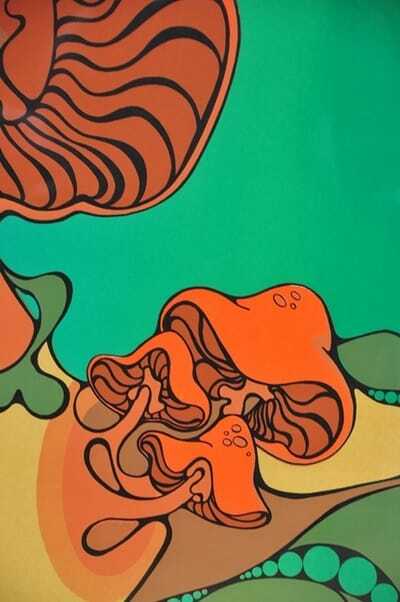 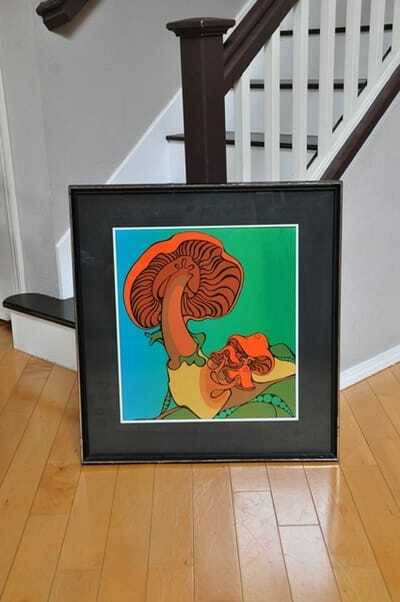 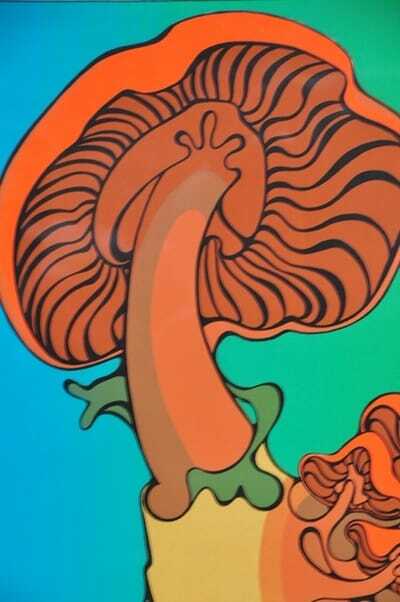 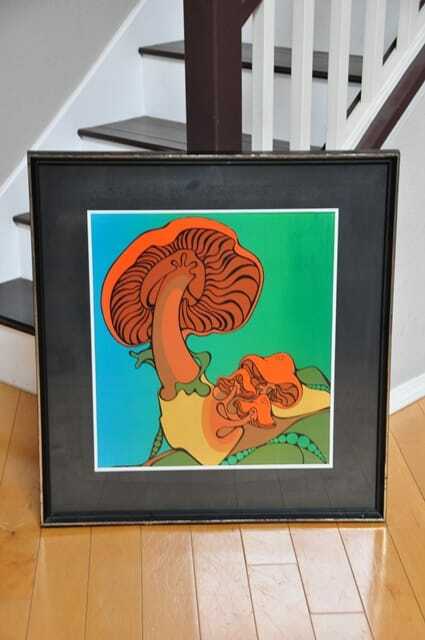 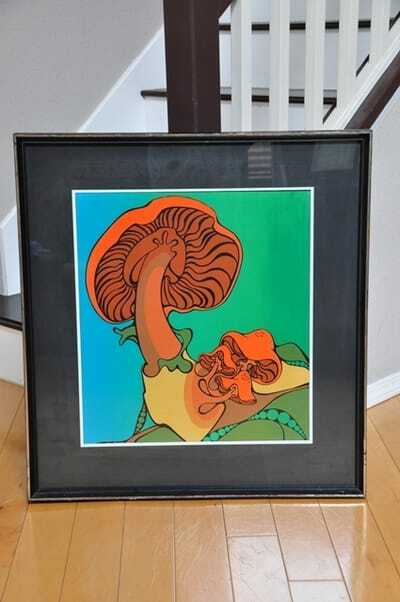 This is a vintage framed serigraph made using silk screen printing method and depicts very colorful psychedelic mushrooms. It is framed in wood and glass. The frame is 28" wide, 30" high and is very heavy.